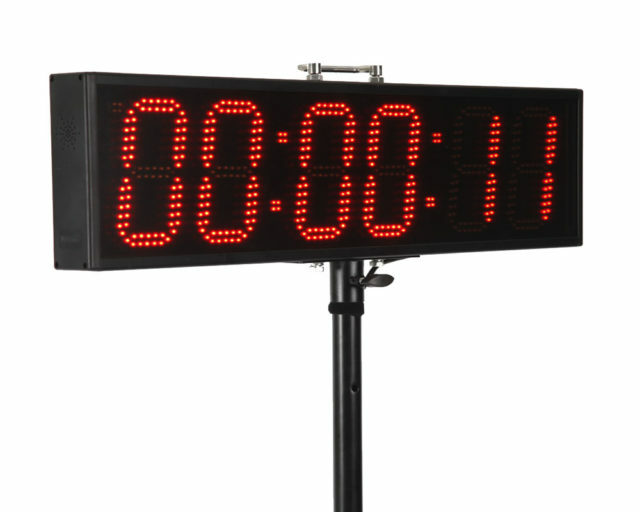 6 digit, double sided LED display clock which can be used to display time of day, stopwatch, countdown timer and countup timer. 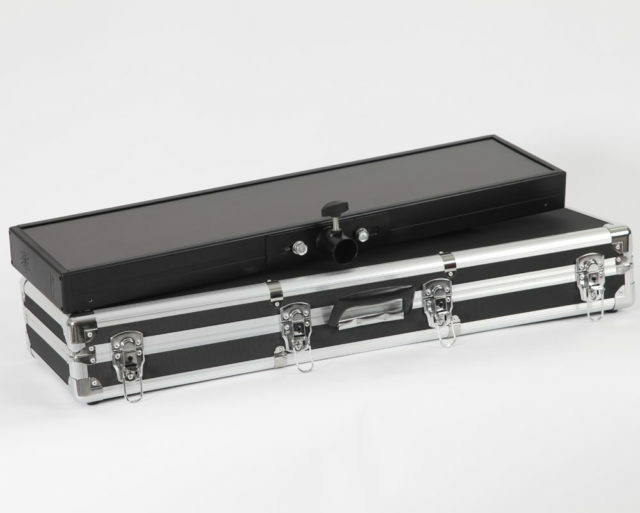 Comes complete with carry case, tripod, remote control, battery case and battery charger. 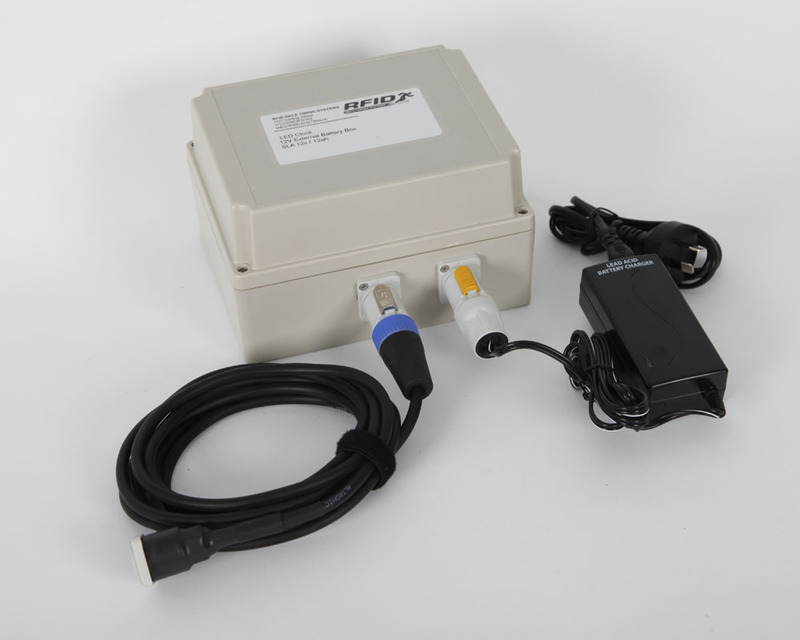 Can be powered via external 12v battery or mains power which makes it ideal for remote locations.